There are a lot of webcomics out there. I read ’em, and if I like ’em, they end up here. This week I’m talking about The Forgotten Order and Polar, plus: the return of Spacedock 7! The Forgotten Order, by Christy Morgan, is destined to be about “Trystan, a young witch who is dismal at best with magic …, [and] a cursed doll who escaped the madness of its design by way of dreaming.” The story starts not with Trystan, though, but with a Dreamer who adventures in the dream realms to try to forget about its curse and remember what it is like to be human again. Presumably, then, the Dreamer and the cursed doll are one and the same character. I quite enjoyed this beginning. 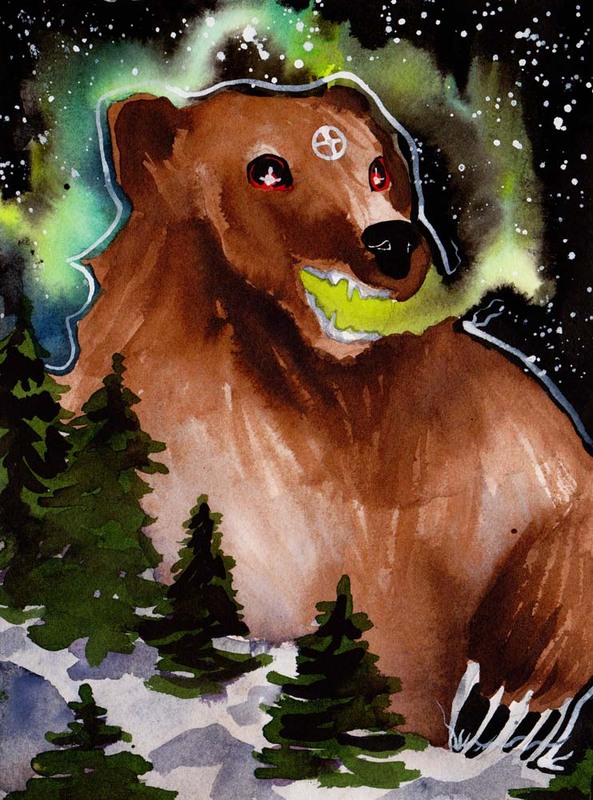 For one thing, dream realms hold a special fascination for me (see my reviews for Xander and The Dream-Quest of Unknown Kadath, for example), so I was happy to see that Christy was influenced by H.P. Lovecraft’s dream stories. But I also particularly liked how tragic the Dreamer’s story is. It has intrigued me and makes me want to find out who the Dreamer is, how and why they were cursed, and what can be done about it. If only someone in the comic might be able to help with that…. Enter Trystan, an object of pity for her weak magic and doormat personality, but something tells me she and the Dreamer might be perfect for each other. Along with Trystan comes an entirely new art style, more detailed, less fantastical. I like it in its own way, but I’m also glad to hear that the dream world will show up again at some point. The Forgotten Order is still early in its story, so now is a perfect time to catch up and jump on board. You may have heard of Dialogue-Free Comics Day, but how about a dialogue-free comic altogether? Polar, by Victor Santos, pulls off that trick quite nicely. It is the story of a Nick Fury-esque man who just wants to be left alone, but when a team of killers ambushes him, he realizes that his former masters will never leave him be, so he will have to take the fight to them. Actually, except for the part where the main character reminds me of Nick Fury (he has an eye patch and he’s an expert marksman, that much is clear) and killers are after him, I made up the rest. That is what I found fascinating about Polar. While I could clearly see what was happening (which mostly involves people shooting each other), I found that without any dialogue or captions, I filled in the “why” myself, coming up with motivations and histories for the characters. The lack of dialogue meant that I took a more active role in the story-telling. That’s a neat trick. The art itself is beautiful, using only black, white, and red to great effect in the style of Frank Miller’s Sin City but with more of a Mike Mignola feel. The action is almost always clearly delineated, as it should be since the story relies on the art alone. I could try to explain how effective Victor’s art is, but it speaks for itself, really. Check out this image for one example; I think I’ll make it my desktop image for a while. The site navigation leaves a little to be desired. There’s no “First,” “Previous,” or “Next” buttons, so here’s the link to the first page to make it easier . Your best bet is to start there and then click on “Newer Post” on the left below each page. That minor inconvenience aside, I think this webcomic rocks. I can’t wait to find out/make up the rest of not-Nick’s story. One of the first webcomics I read and reviewed when I started this blog was Cleopatra in Spaaaace! When I was looking for more science-fiction webcomics to read, I naturally followed the link from Cleo to the rest of the Spacedock 7 webcomics, only to find that they were mostly all defunct. Well, it looks like Spacedock 7 is back in action, now with James Anderson’s Ellie on Planet X as part of the science-fiction webcomic crew. I’m already caught up on Red’s Planet, Cleo, and Ellie; I guess I’ll have to catch up on the rest of the SD7 as well! Here are the other members of the SD7 and their current status (so far as I can tell): Joel Carroll’s Topaz returns on Friday. Dani Jones’ My Sister, the FREAK re-started at the end of May. A new page of Otis Frampton’s Escape from Planet Nowhere showed up on Monday. And as for Katie Cook’s Gronk: A Monster’s Story, it looks like it never went away. I must have missed it before, but as I was glancing through it today, I saw this page about having a Philosophy degree. Yeowch! That burns. Now I have to read the whole thing to see if there are any other jokes that hit so close to home for me. Here are some pages from the webcomics I follow that I especially enjoyed this week: Howard Hughes showed up in The Adventures of the 19xx. Oliver faced off with Salvaro in Clockworks. Kick Girl proved that she’s never happy, even in flashbacks. Amya returned with an awesome cover to Chapter Four. Mizha’s looking pretty shattered over at Leylines. Modest Medusa started a Kickstarter for their Season 2 graphic novel. And finally, I’d talk about how fun Power Nap continues to be, but you wouldn’t be able to hear me over the deafening screams. Sunday: Part 17 of The Only City Left, my own SF/F serial action-adventure story. This is Allin’s darkest hour, so lend him your ear as he concludes the story of how his parents died. Want an easy way to catch up on the story? 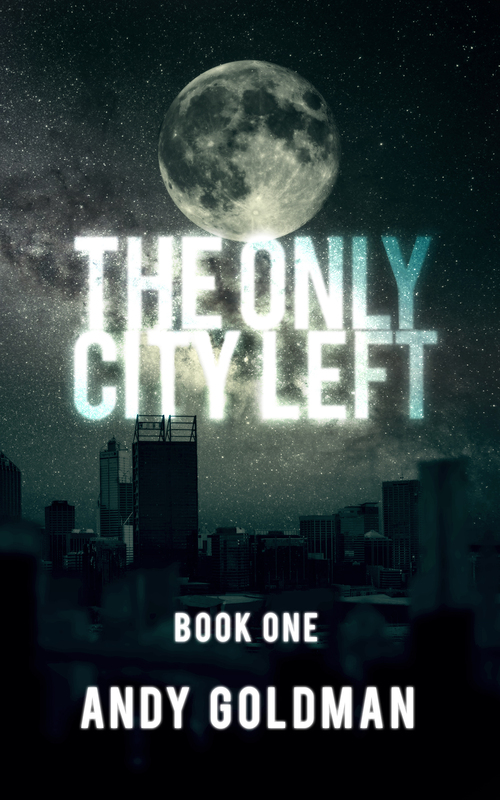 Check out my The Only City Left Readlist where you can read the parts in order or send them as an ebook to the device of your choice.